Dagny Riegel is a professional journalist. She writes for magazines, radio and corporations. 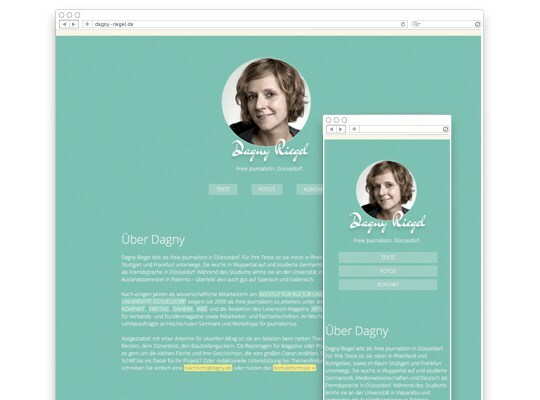 ¶ The website uses the mobile first concept and is based on a fluid grid. The user can easily read through selected works of text and can quickly get in touch with the journalist. 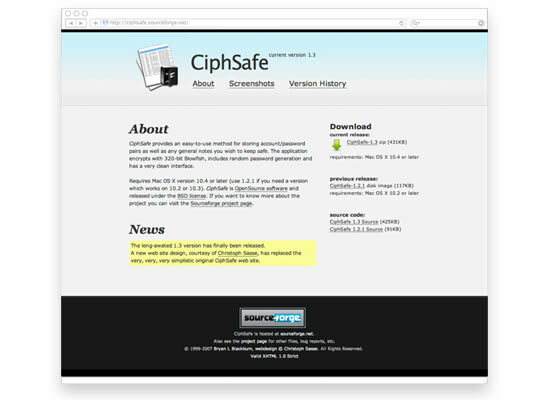 The open-source software CiphSafe stores account/password-pairs and encrypts this data. It has a clean, easy-to-use interface. 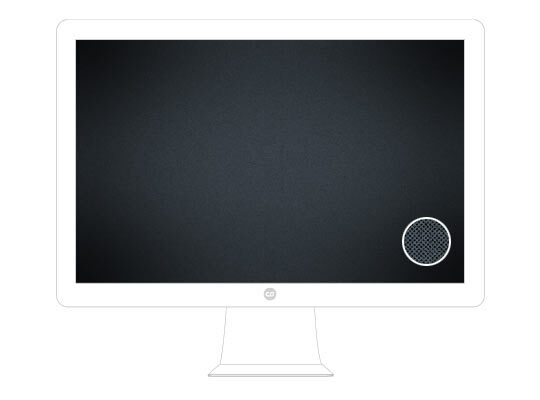 ¶ The straightforward website gives the user a quick overview of the product and its features. 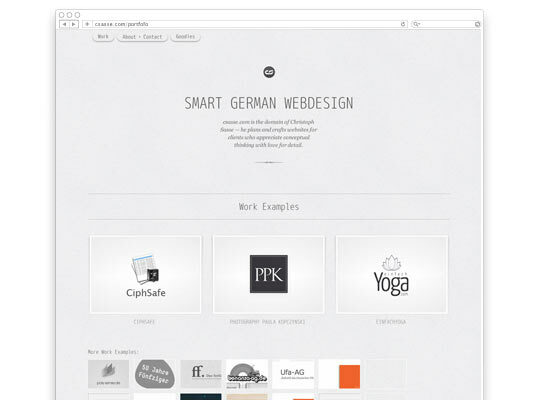 The user can effortlessly download the free software on any page of the site. 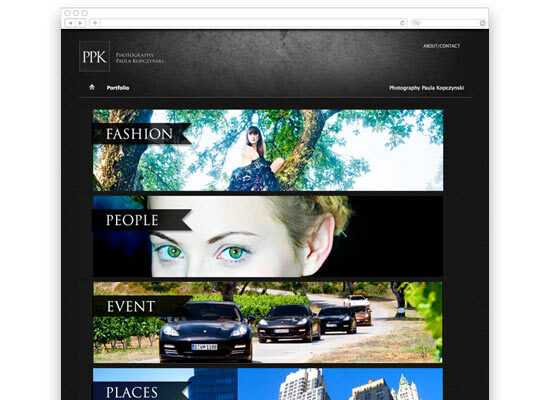 Paula Kopczynski is a professional photographer specialized in fashion, people and events. ¶ The site is a showcase of her work. The layout pulls itself back to bring the thrilling pictures into the limelight. 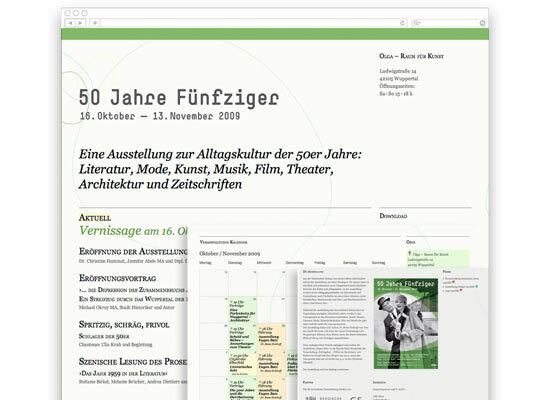 The local exhibition “50 Jahre Fünfziger” (50 years Fifties) is dealing with the cultural aspects of everyday life in the 1950s: literature, fashion, art, film, theater, architecture and magazines. ¶ The main function of this one-page design is to provide visitors with an overview of this one-month event. The abbrevation ff stands for and the following ones. It is also the title of a magazine about the city of Wuppertal. 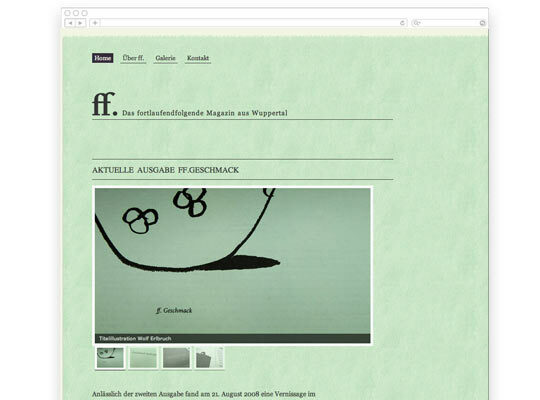 ¶ The magazine's format and design changes from issue to issue and the website does so correspondently. Yoga instructor Nicole Iordanidis’ school ‘Einfach Yoga’ means in English ‘easy yoga’ — literally everybody can learn yoga and benefit from the eastern physical and mental disciplines. ¶ The website provides an overview of the particular courses and offers tips for healthy living. 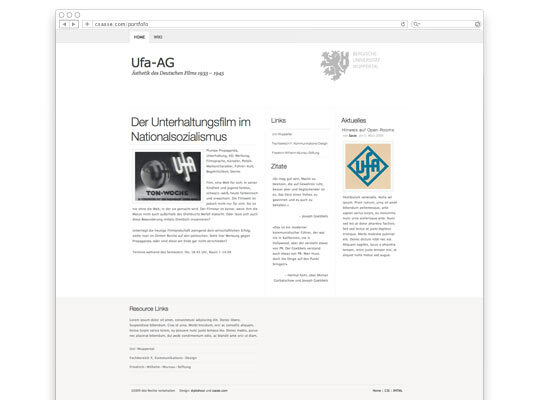 The ‘Ufa-AG’ is a research group focused on German film productions between 1933 and 1945. ¶ The one-page design gives a distraction free synopsis of the group's activities. It displays current events and a link to their wiki. 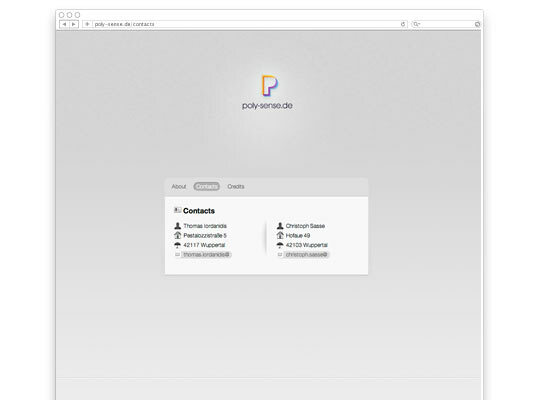 Since the year 2000 poly-sense.de has been the consolidated domain of Thomas Iordanidis and Christoph Sasse. ¶ Today it is actually more or less our mailbox. Template design for the research group ‘Ufa-AG’. 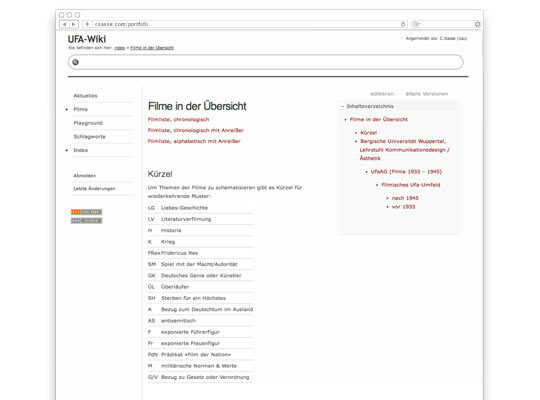 ¶ A unique, streamlined design for the open-source DokuWiki. A mixed collection of logos created in the years 2007 and 2009. A simple wallpaper with a dark denim texture. You find it among the Goodies. 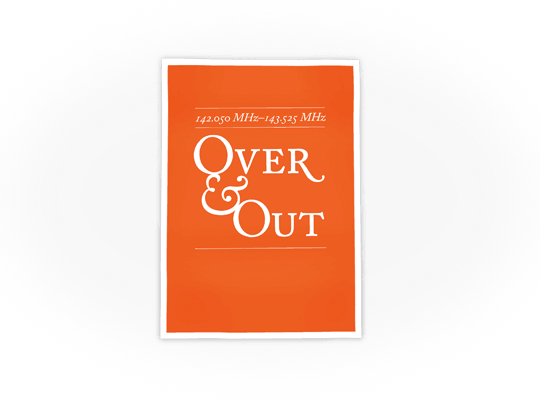 Typographic poster for an amateur radio club.